My husband and I, we both love starbucks and finalizing this theme was easy. If you are reading my previous blogs then you must know that I am a bigggg supporter of DIY. I try to do things myself and if I fail then readymade options are always there. You can check few more DIY baby looks for Halloween done by me . 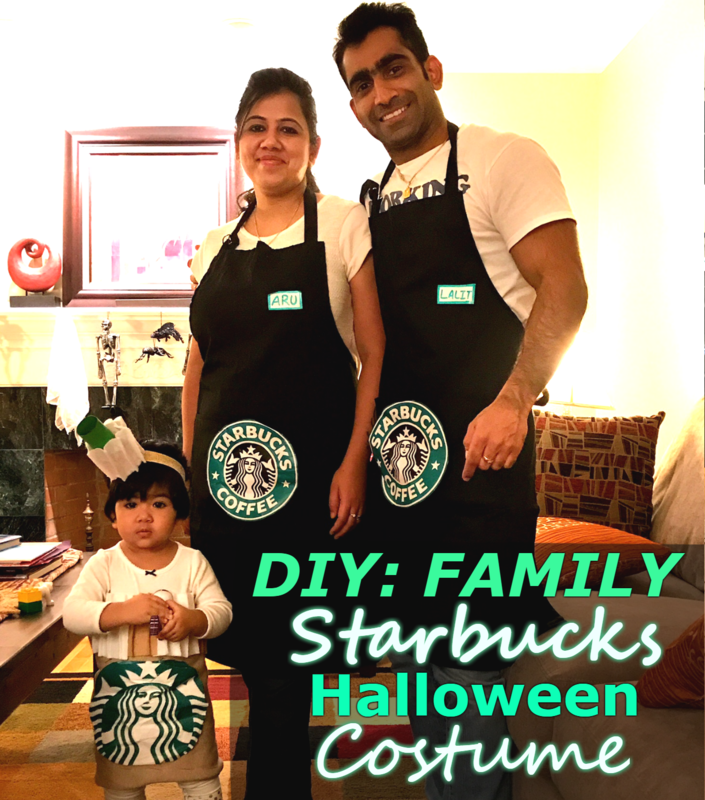 So this time it’s about DIY Starbucks family costume and the best part of this costume is this lovely coffee costume. This costume is very easy to make. 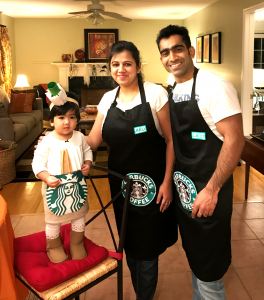 Me and my husband are baristas and my daughter is dressed as Cappuccino. Kids look cute no matter what they wear but this is not the case with Mom dads. 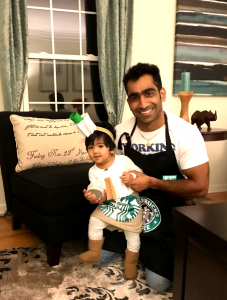 The Starbucks theme is kind of easy for us because all we have to do is wear our Starbucks Aprons. The main attraction is obviously your coffee. I always loved drinking cappuccinos but this one is too cute to drink. Cardboard or toilet paper cardboard roll for making green straw in headband. I made this costume in around 3 hours and it came out as I wanted it to be. 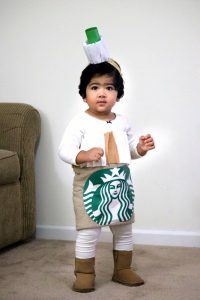 Though I made the back of the coffee cup too where you select your shots, cream etc options, but that didn’t fit perfectly with the complete costume so I left it.Next year baby J might have her favorites, so I need to keep her choices in mind but this year I was able to do it my way. All the effort seems worth when you look back in time and cherish those moments. Doesn’t it look fun? Lovely memories to cherish after few years. What do you do on Halloween? You go with a common theme for family or you all have individual choice? Have you ever tried any DIY look for your baby? Let’s chat and let me know more fun ideas to try next year. OH MY GOSH!!! This is the cutest thing I’ve ever seen!!! Totally stealing this for next year, what a cute idea!! 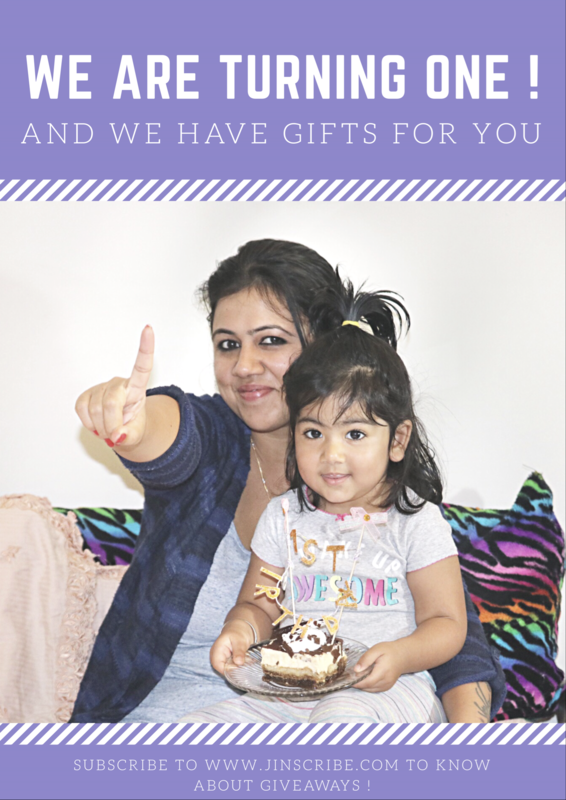 Your daughter is adorable and the way you write and express your feelings shows that you are indeed doing a great job as a mom. Looking forward to read about your India Trip and Jianna’s experience. Just got settled after jet lag and meeting my dear ones . Will start on my next blog soon . Keep reading ! Oh. My. Goodness. 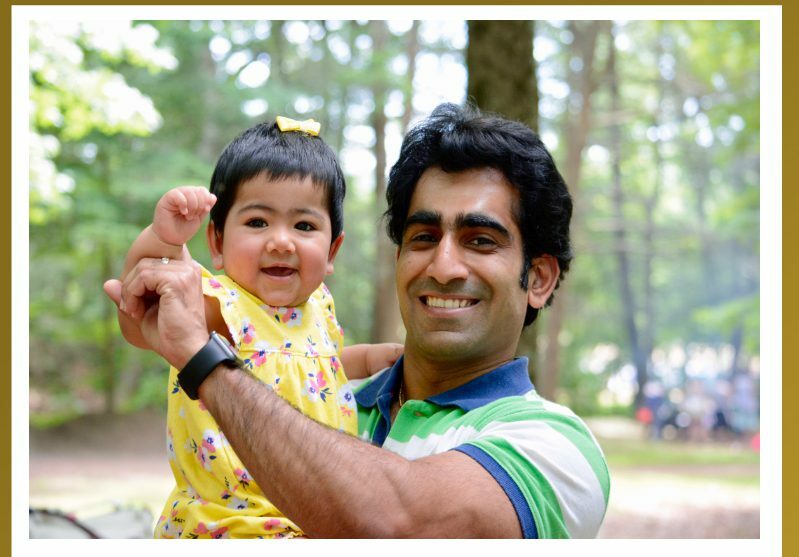 Your daughter is absolutely ADORABLE! What a super costume idea, not just for her but for the whole family! 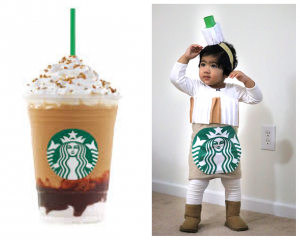 You are so creative with these adorable costumes! I love how adorable you all are! Wow, it looks so much of fun, you 3 looked so gelled up with perfect matched costumes. Your lil one gave it the best shot. Great memories for sure. He he but don’t you think she is too cute to drink up ? 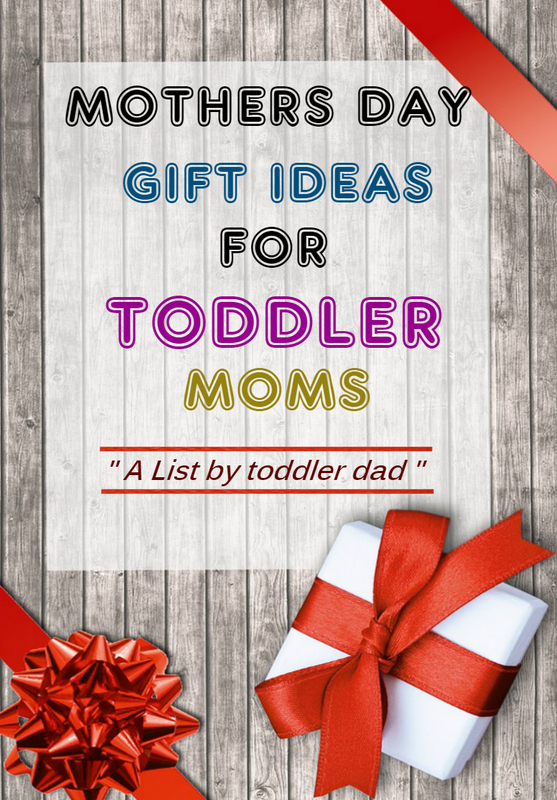 Super cute and crafty! 3 hours time?! That would take me so much longer! Great family costume and definitely one to frame up in the house. ole my Cappuchi <3 Love u baby,,badi mumma can not wait to hold you. Come soon. What a great costume idea! She’s such a cute capucinno.